Google, the technology company that built its empire on the back of fast, accurate internet searches, has now gone into the nature business. No, the company isn’t opening a wildlife theme park. Instead, Google has decided to use it’s know-how to bring nature closer to people who may not be able to experience it in person. Or those who just want to know what they’re getting themselves into. Just days ago, Google announced that it recently added 360-degree panoramic imagery for five of California’s national parks—including Yosemite—to Google Maps. Apparently the idea to include National Parks came to Evan Rapoport, Google’s Street View Product Manager, when he was hiking in Yosemite. He wanted a way to preserve the way the park looked, and has looked for thousands of years. 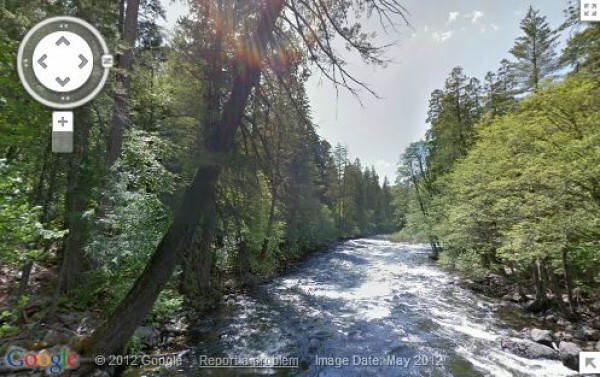 By adding the parks to Street View, Rapoport, hopes people around the world will now be able to appreciate the beauty and timelessness of the wilderness from the comfort of their own home. Now, before we get into the awesomeness of this technology and the mind-blowing fact that we can now virtually tour one of California’s greatest natural treasures without putting on pants, let’s have a brief reality check: looking at Yosemite through Street View is not the same as visiting it in person. There is no substitute for the smell, feel, and smallness that is experienced when standing alone in front of a thousand year-old tree. If you spend half an hour “wandering” through Kings Canyon National Park on Google Maps, you do not get to say you’ve been there. If there’s no dirt on your shoes, it doesn’t count. Ok, rant’s over. Now, let’s talk about what an incredible technological achievement this is! With the 360-degree Street View technology, you can actually stare up at giant Redwoods. People living in Europe, who may never get the chance to actually hike through Yosemite can now venture into the valley, overlook Glacier Point (visited by John Muir and President Theodore Roosevelt in 1903), explore the more remote upcountry along Tioga Pass road and see the Giant Sequoias in Mariposa Grove. What do you think about this new Google offering? Is it truly revolutionary, or just another demonstration of our disconnectedness? Share your thoughts in a comment.